Your Full Service Las Vegas Printing & Mailing Company Serving the entire Las Vegas Valley as a full service Las Vegas Printing & Mailing Company, we strive to produce extremely high quality printing at a reasonable price. Local Customers and Convention visitors are treated as number one by Rapid Color Printing. Please request a custom quote above, or browse our site for all your printing needs. 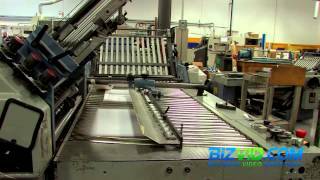 Printing in Las Vegas is what we do!